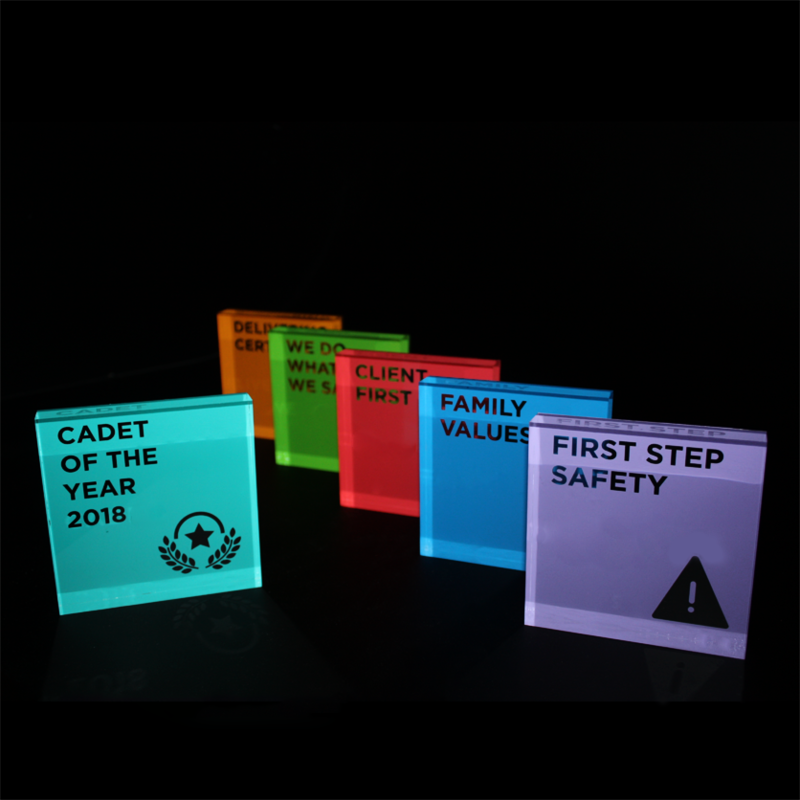 These colourful awards are an annual occurrence for us in our workshop, we create them each year for Richard Crookes Construction’s business awards. The bright colours are selected specifically with care to match those of the company branding guidelines. Each award features a different colour and different wording. We use coloured vinyl stickers which have been laser cut to display the awards individual artwork. The vinyl stickers are mounted to the back of the custom cut clear acrylic blocks which are free standing. The end effect of these awards is always quite striking and impressive.